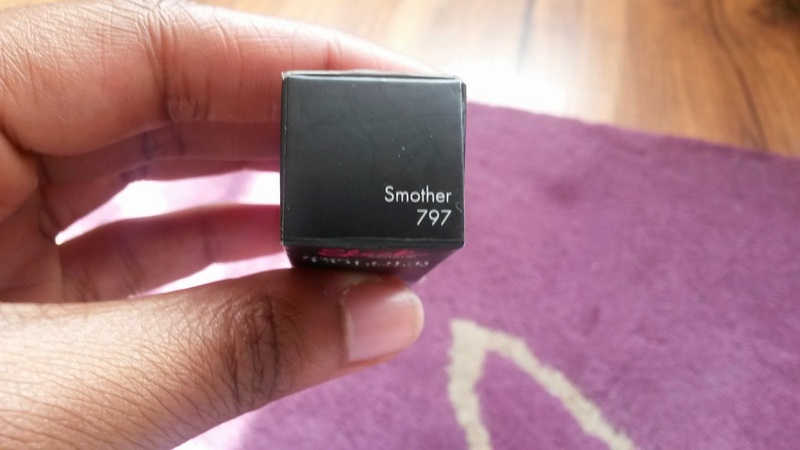 I wanted to show off my latest make-up purchase; readers/followers of this blog will be aware of my relationship with make-up! 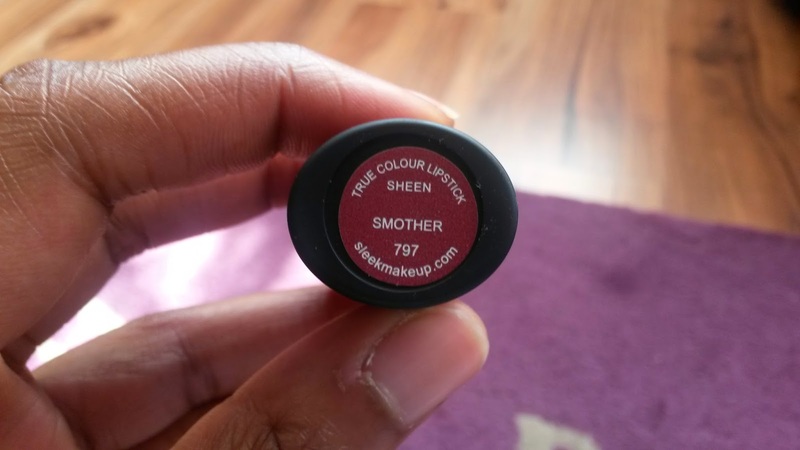 I bought Sleep MakeUP True Colour Lipstick in Smother. 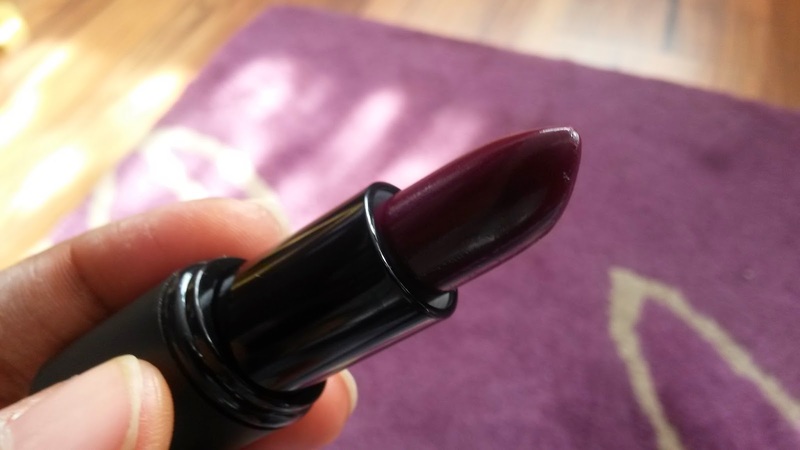 I was looking for a shade for Autumn/Winter that I thought would be bold but not too bright. I was drawn to Smother, which I thought would suit me. 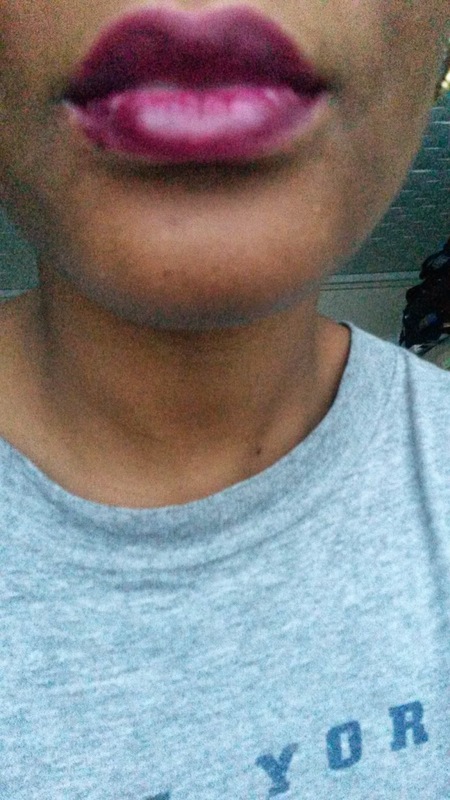 I love the shade and have no regrets buying it. 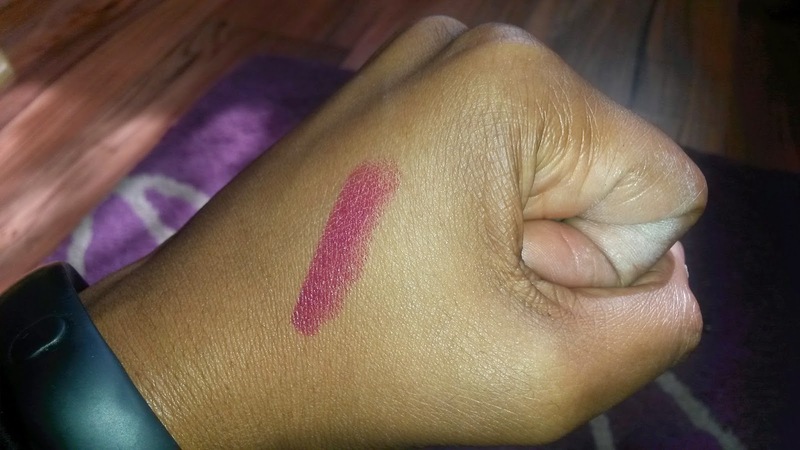 The lipstick is rich and long lasting; it fades to what looks like a lip stain. 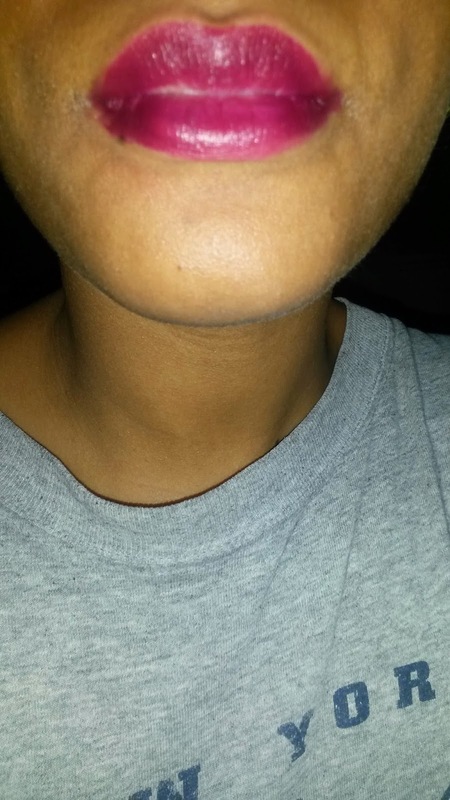 This is the case even after 6/7 hours of sleep – yes I went to bed with the lippie still on….. 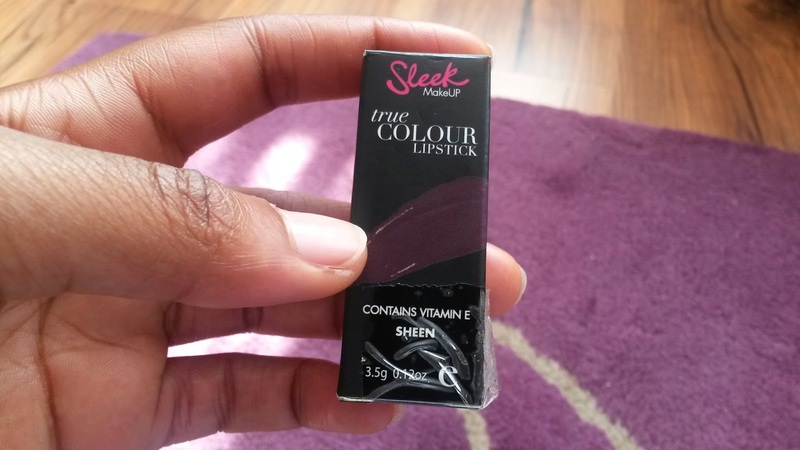 I remember Sleek when it was lined at the front counters of Afro-Caribbean hair shops, aimed at black women and for the most part their products were not of great quality….However they have come a long way! I love that Sleek has improved their products and brand. 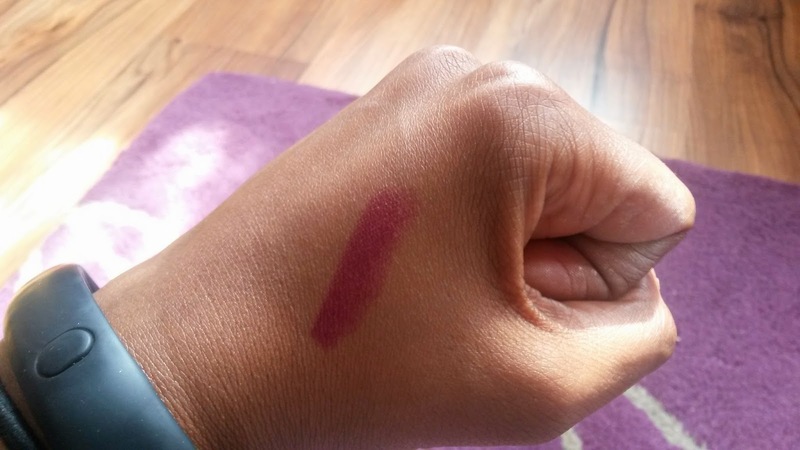 Their products are affordable; the lipstick I bought costs £4.99. They are also highly pigmented and of high quality. I also like that Sleek has expanded its products to suit fair, medium and dark skin tones. While I have a limited amount of make-up in my possession, the majority of it comes from Sleek. While my make-up collection slowly grows, I will continue to buy from Sleek as long as their products continue to be of high quality.